Mira Levenson is bursting with excitement as she flies to India to stay with her aunt and cousin for the first time. As soon as she lands, Mira is hurled into the sweltering heat of a place full of new sights, sounds and deeply buried family secrets. And then Mira meets Janu, and feels an instant connection. He becomes her guide, showing her both the beauty and the chaos of Kolkata. Nothing is as she imagined it – and suddenly home feels a long way away. 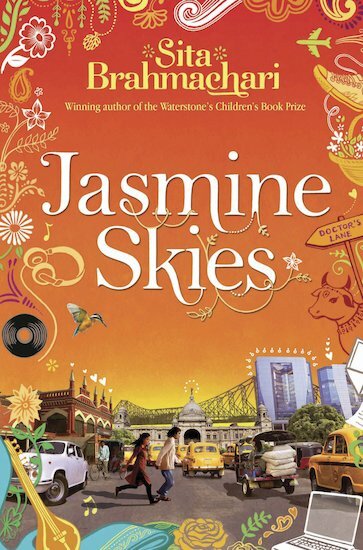 Before Mira leaves India, she is determined to uncover the truth about her family – whatever it takes. But she must also make a decision that will break someone’s heart… This sequel to the award-winning Artichoke Hearts is another brilliantly sensory tale of life, family and growing into oneself.